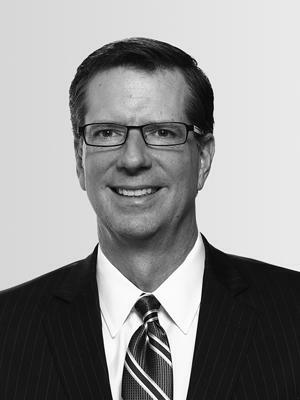 T. Richard Litton, Jr. supervises HGI’s Transactions Group, which sources and executes all acquisitions, dispositions and refinancings. As President, he also oversees day-to-day operations for the company, chairs HGI’s Investment Committee and serves as a member of HGMC’s Operations Committee. Before joining HGI in 2004, Mr. Litton served as a corporate law partner at Kaufman & Canoles, the largest law firm in southeastern Virginia and one of the largest law firms in the state. At Kaufman & Canoles, Litton’s practice specialties included negotiating and structuring mergers and acquisitions, securities offerings, and venture capital/private equity financing for privately held and public companies. Mr. Litton earned his law degree from the University of Virginia School of Law in 1992. He also graduated with distinction from the University of Virginia with a bachelor’s degree in 1989. He currently serves on Freddie Mac’s Investor Advisory Council, the boards of directors of Norfolk Friends of Foster Care and ACCESS College Foundation and the board of visitors of Eastern Virginia Medical School.